To celebrate (or rather commemorate) the giant Gundam being removed from Shizuoka (see this couple's blog for details), here's a repost of my old plamodel decorated toilet. See closeups of all the awesome robots on my original blog. 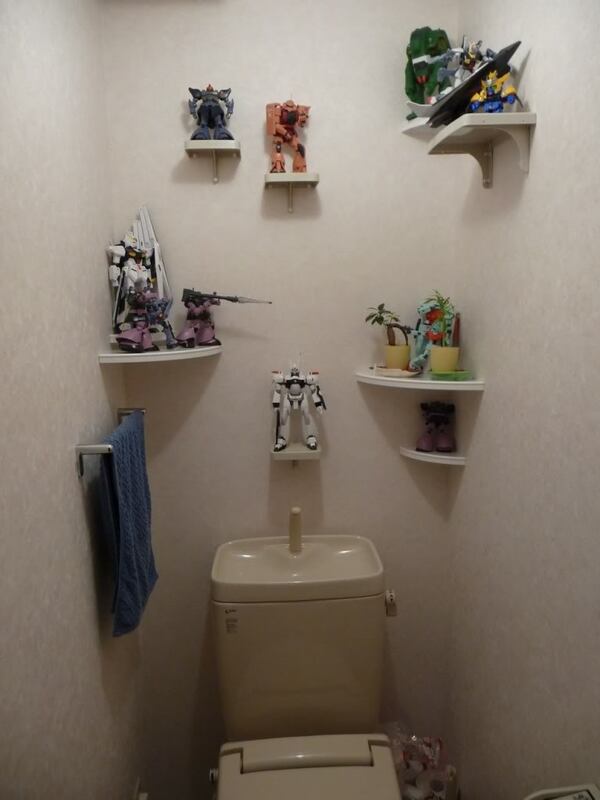 Haha, your bathroom is awesome! We should totally decorate ours, it's just boring right now.